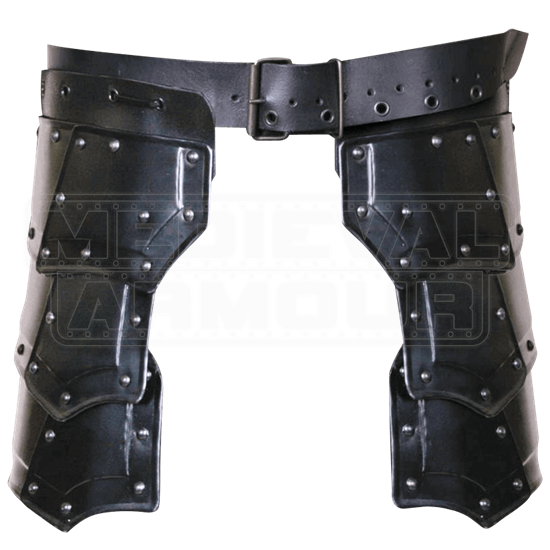 Highly adjustable, the Blackened Vladimir Tasset Belt is great for protecting upper legs during light reenactment. The dark finish lends it a distinct look, ranging from mysterious to sinister depending on how it is styled. Two layered steel tassets hang from the sturdy leather buckled belt, attached via eyelets and cords. This style of attachment make it easy to customize the tassets to fit the needs of the wearer. 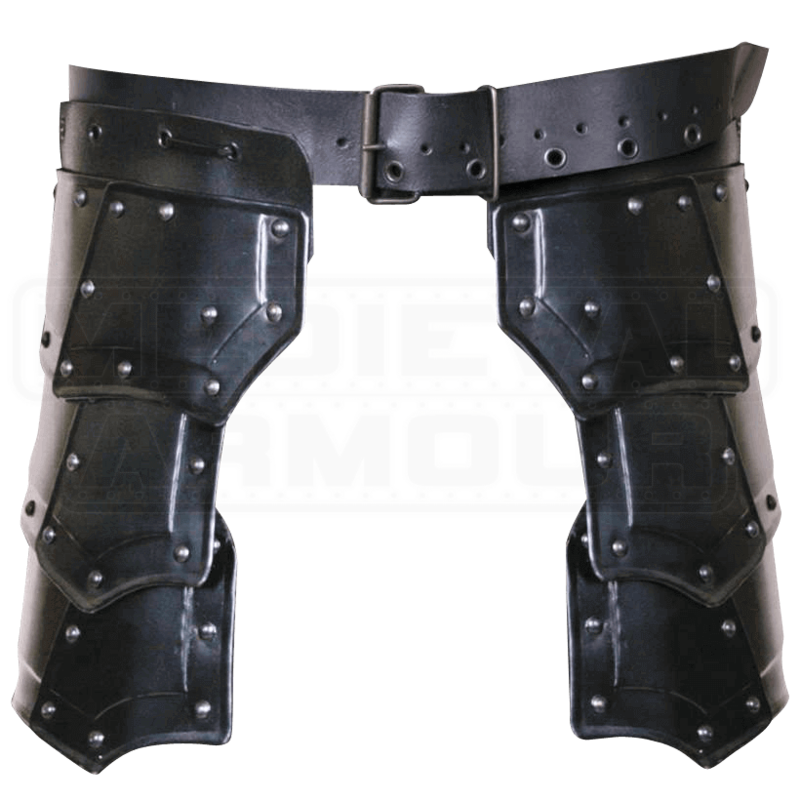 Rivets decorate the edges of each 18 gauge steel plate, adding classic detail that is sure to match a variety of historic looks and LARP outfits.